Mercedes-Benz of Scottsdale has a wide selection of exceptional pre-owned vehicles to choose from, including this 2017 Mercedes-Benz C-Class. 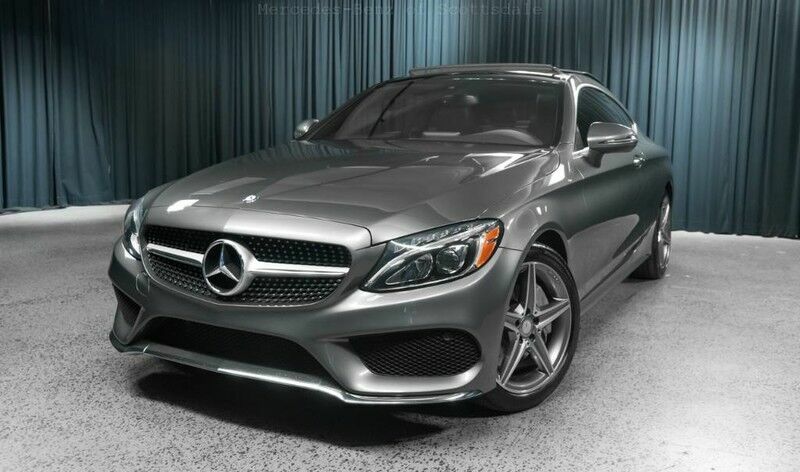 This Mercedes-Benz includes: SPORT PACKAGE HEATED FRONT SEATS PREMIUM 1 PACKAGE SELENITE GREY METALLIC BLACK, MB-TEX UPHOLSTERY PASSENGER SEAT W/MEMORY *Note - For third party subscriptions or services, please contact the dealer for more information. * CARFAX BuyBack Guarantee is reassurance that any major issues with this vehicle will show on CARFAX report. Very few vehicles meet the exacting standards of Certified Pre-Owned status. This Mercedes-Benz C-Class C 300 Coupe has met those standards. Opulent refinements married with exceptional engineering make this the kind of car you'll want to own for a lifetime. Exceptional in every sense of the word, this incredibly low mileage vehicle is one of a kind.